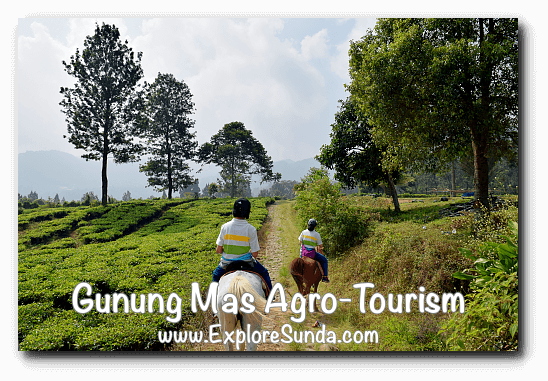 Gunung Mas is the tea plantation in Puncak. It is operated under PTPN VIII, which is a state owned corporation. 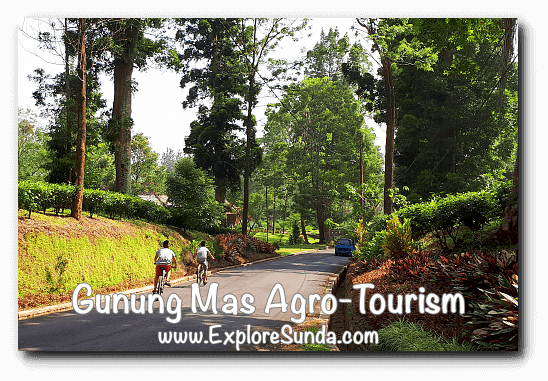 Puncak will never be the same without this tea plantation. The view of tea shrubs looks like a green carpet. 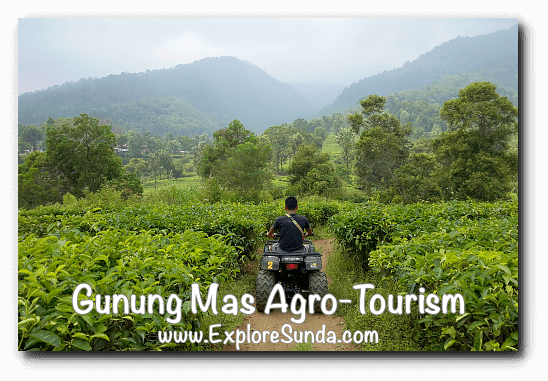 Since people love the weather and the view very much, it expands into agro-tourism by allocating some of its vast area for tourists. They brand it as Indjanie Hill Adventure. There are several activities we can enjoy here. The trending one is taking pictures with some props and backdrop of the tea plantation. We could pretend to fly a broom or a carpet, drive a becak or a bicycle on air, or ride on an hot air balloon. The ticket for each spot is Rp. 20,000 on average. 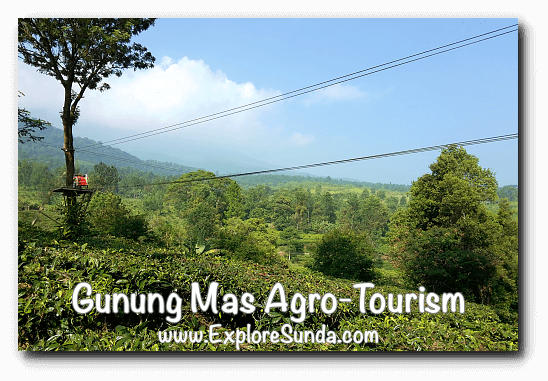 For a more challenging ride, you can try the flying fox, ATV ride, and horse ride. The ATV ride is really fun. Each ATV can carry two persons. The cost is Rp. 150,000 for approximately four kilometers off road, including one guide. We will drive through the stone and dirt paths inside the tea plantation. The ATV is quite safe, just remember never ever put our foot on the ground during the ride. The ATV is so sturdy, it hardly flips. Horse ride is a more conservative ride among them. However, it is a rare experience to ride a horse by ourselves circling a tea plantation! Although each horse has its own handler, since the horses are trained and they are very familiar with the paths, we are allowed to ride the horse by ourselves, while the handler follow behind. Many of the horses are directly brought from Sumbawa. They are relatively has smaller body than other type of horse. The remaining horses are the breeding result of these horses from Sumbawa from the horse farm nearby. The horse handlers offer at least three paths we can choose. 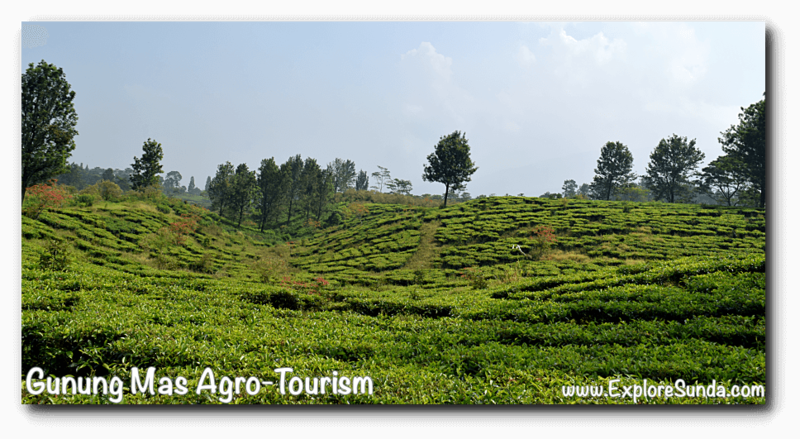 They all start from near the entrance gate, the shortest path is circling some of the tea plantation, which takes approximately 30 minutes. The rental price of each horse is more than Rp. 100,000, but it is negotiable. We can visit the horse farm if we choose the longer path. The longest path takes approximately two hours and we will go near the back entrance of Taman Safari Indonesia. 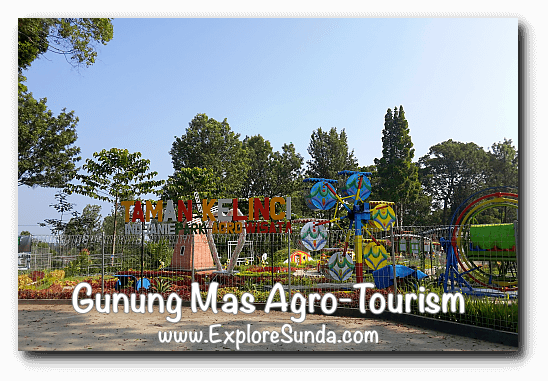 Young children can have fun riding a delman (a horse carriage from Sunda) and play in a small amusement park called Taman Kelinci (Rabbit Garden in english). 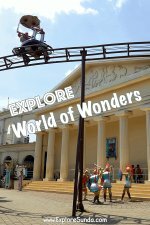 Some of the activities here are riding a mini train, a small carousel, a swinging boat, a small roller coaster and feeding rabbits. The ticket for Taman Kelinci In 2018 is Rp. 70,000/person. 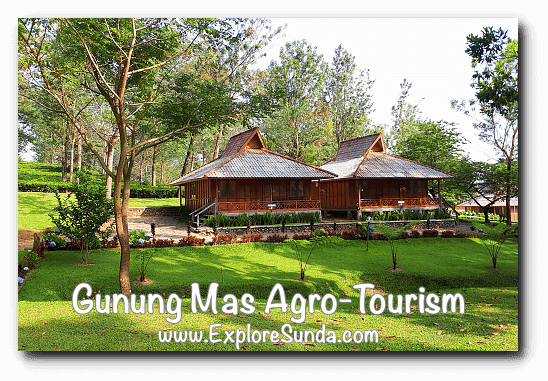 Gunung Mas has several bungalows, camping grounds and halls for rent, so a family spending a night or two in the tea plantation or a big gathering such as corporate outbound can be accommodated. 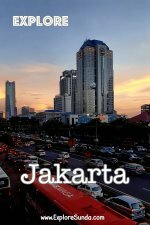 They also have a couple of restaurants, but they open in the late afternoon during the fasting season in the month of Ramadhan. 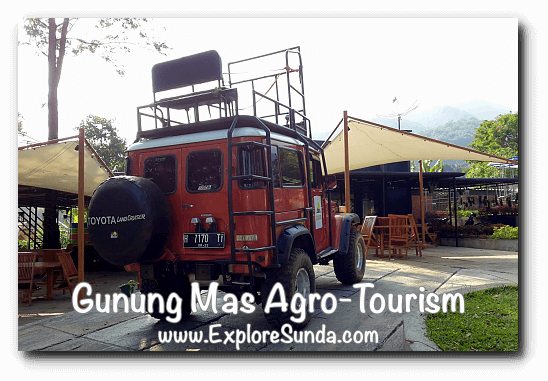 With all of the facilities provided, it's fun to spend a day and/or a night in Gunung Mas Tea Plantation. The only difficult thing to find here is a decent toilet. 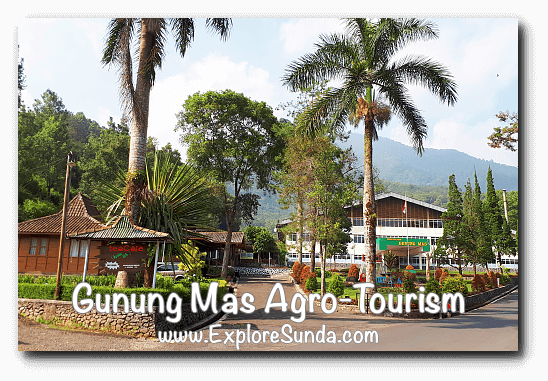 Being the top holiday destination, Puncak has many interesting places for everyone. 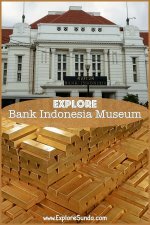 However, the land of Sunda is more than a highland: it has beautiful beaches, lively cities, awesome museums, and rich cultures.